Musical Theatre News: Lion King ,Viva Forever and Wicked! to be hit by strikes? Lion King ,Viva Forever and Wicked! to be hit by strikes? 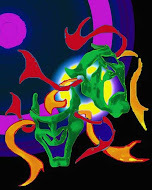 UPDATED 1st March: Ambassador Theatre Group successfully completed ACAS negotiations with BECTU yesterday resolving all disputed issues including the move to monthly pay. West End hit musicals including the Lion King ,Viva Forever and Wicked! could be hit by strikes if the Ambassador Theatre Group and theatre union BECTU can't reach agreement over pay rises for hundreds of staff (most of whom are paid £6.45 an hour which just above the minimum wage). 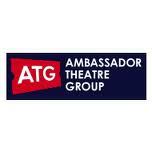 ATG runs 41 UK theatres with 12 in the West End, including the Lyceum,Victoria Apollo and Piccadilly. BECTU is balloting for strike action after they walked away from talks at the conciliation service ACAS on Monday. A spokesman for the management said: "ATG was stunned and disappointed when Bectu decided to break off from negotiations on Monday. Virtually all outstanding issues had been resolved and ATG is keen to continue talks with Bectu in order to find a swift resolution." The union warned "Plans for industrial action will not be decided until the strike ballot has got under way, but the union has already warned theatregoers that they should check in advance whether the shows they have booked might be hit." ATG are accused of sabotaging talks by demanding changes in conditions which were agreed only a few months ago. This includes cutting the minimum amount of time front-of-house workers would be paid for each performance from 3.5 to three hours. The management spokesman said improved pay and an agreement on minimum hours had been offered at the talks and rejected.